Multilane Retail requires complex, high performance, PCI compliant payment solutions. PaymentPlus has the experience to deliver centralised payment and compliant PCI DSS solutions. PaymentPlus is an Ingenico distributor so can offer hardware and payment services from the worlds leading provider of payment solutions. In addition to providing hardware or software solutions, PaymentPlus can provide acquiring services from Barclaycard. Reducing your card acceptance costs without the need to change hardware or software systems. As the Irish distributor for Ingenico, PaymentPlus can provide you with a range of PIN Pads to meet your payment needs. 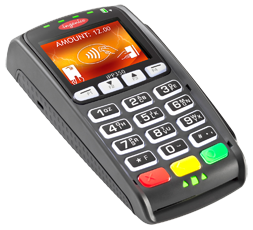 Ingenico’s devices are PCI PTS V3.0 certified and come with Ingenico’s leading EMV Level 1 and Level 2 Kernels for easy integration with your EPOS and payment systems. Based on Ingenico’s leading range of PIN Pads and terminals, PaymentPlus can integrate with your EPOS solution to provide a low cost payment solution for retailers. Our Semi Integrated solution meets PCI regulations, reduces your ongoing management and staff training through the simplicity of the solution. If you don’t need to change your PIN Pads or payment systems, PaymentPlus can still help you save money by switching to Barclaycard for competitive acquiring rates. We will work with your existing payment solution provider to make the switching process seamless.